The silk wrappers indicate directly that you are about to experience a mellow smoke. 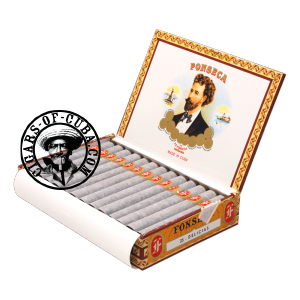 Similar in blend to the other Fonseca cigars, the Delicias has the familiar light woody flavors and smokes in a linear, but balanced fashion. A good cigar to start with. Affordable and ideal for a beginner in the world of Cuban cigars. An unusual size, same as the Flor de Cano Tubulares. Light woody flavors and smokes in a linear, but balanced fashion. Gentle end to a relaxing smoke.